I’m very, very late to the Alfred party. We had long since named Alfred the best app launcher for macOS way back when, and yet I still forgot to clue in. This was all before I discovered Alfred’s Powerpack, which effectively unlocks everything that’s powerful about the app. Without the Powerpack, Alfred isn’t too much better than Apple’s built-in Spotlight search. 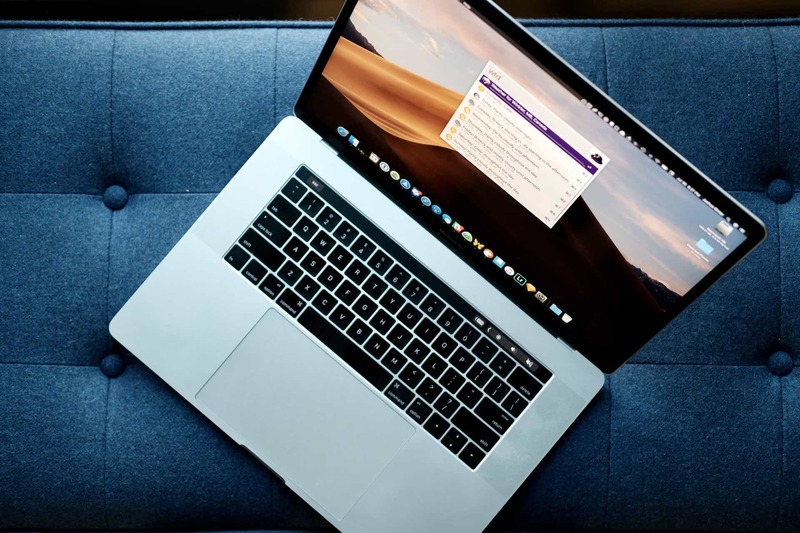 With the Powerpack, you can install workflows that speed up macOS and skip over extra clicks and keystrokes. 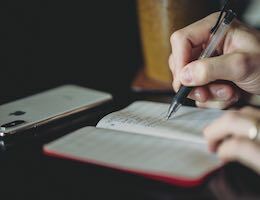 Workflows make sense for completing tasks you often complete — say, creating a new note in Bear or adding an event in Fantastical via natural language parsing. We’re here to highlight a few of those workflows you may not consider immediate — or even necessary — workflows to have installed via Alfred’s Powerpack. That said, these are workflows I use every day, multiple times a day, and specifically right before I’m ready to stream a movie on Netflix. This weather workflow is one of my favorite workflows ever, although it took a while to get into my wheelhouse. 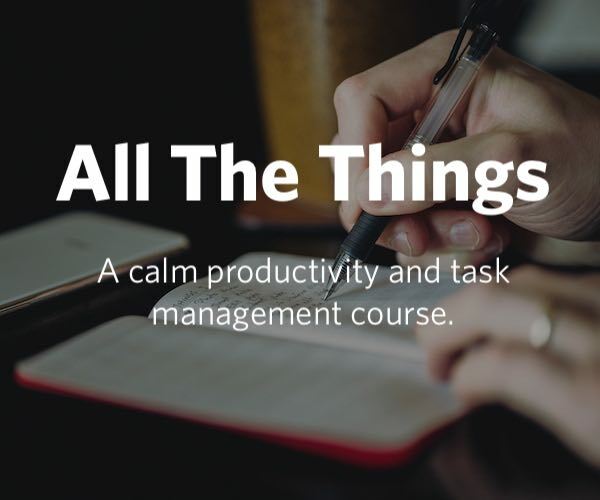 After installing the workflow, you have to go through some initial setup to ensure the Dark Sky API is running with proper credentials, to ensure the workflow is reading the correct location, and to ensure you’re reading the right units. 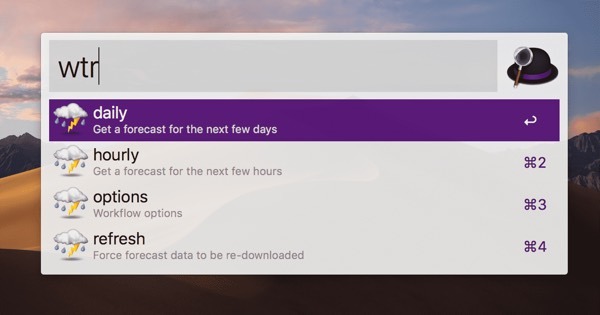 Once installed and configured, a quick wtr shortcut in Alfred brings up the option to view a daily or hourly forecast, or you can skip directly to a daily or hourly forecast with the wtd and wth shortcuts respectively. Considering this workflow uses the Dark Sky API and considering how quick it is to showcase the forecast, I think this is a far faster and far more accurate option than viewing weather information inside macOS’s Notification Center. You can download the Weather workflow on Packal.org. Should I watch this movie? Perhaps “Should I watch this movie?” is more of a fun workflow than an effective or efficient workflow, but I think it really drives home Alfred’s power. 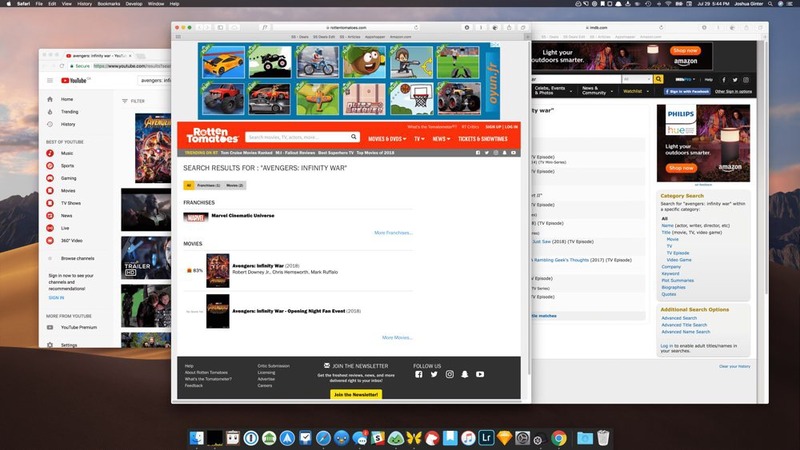 Bring up Alfred and type movie before the title of a movie and this workflow opens a Safari tab with a search query completed on IMDB.com, a second tab with a search query for the movie’s trailer completed on YouTube, and a third tab with a search query on Rotten Tomatoes. Quickly click on the IMDB.com/trailer/Rotten Tomatoes link and find all the information you need to decide whether to watch that movie or not. This is a little less powerful when searching a series (for example, movie Star Wars brings up search queries for all the Star Wars films). But if you know the exact title, this is a handy workflow for quick research. You can download “Should I watch this movie?” on Packal.org. Admittedly, I was surprised Alfred’s Powerpack didn’t come with a built-in iTunes controller. 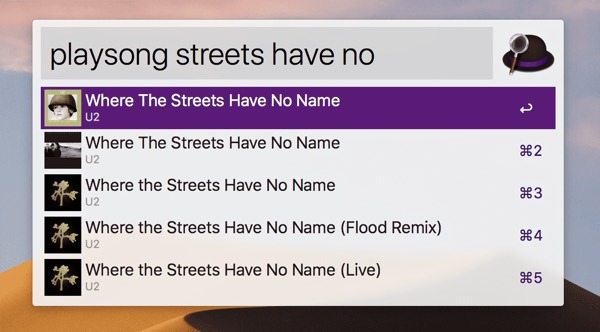 I remember typing “play Where the Streets Have No Name,” and Alfred shot me straight to a Google search rather than opening iTunes. I was surprised. “playsong”: Song names that match your query will populate the list of results. “playsongin”: Songs whose album names match your query will populate the list of results. “playalbum”: Album names that match your query will populate the list of results. “playartist”: Artists whose names match your query will populate the list of results. “playgenre”: Genres whose names match your query will populate the list of results. “playplaylist”: Non-empty playlists whose names match your query will populate the list of results. You can even control your iTunes queue by clicking on any of the above queries with the command key pressed. This will add the song to the queue instead of playing the song immediately. When you’re ready to play your queue, simply type playqueue. There are even more controls baked into “Play Song,” so be sure to read the readme file before you get started. You can download “Play Song” on Packal.org. There are a ton of different workflows available for Alfred’s Powerpack. You can find pre-built workflows on Alfred’s forums as well as on Packal.org (as mentioned above). Packal has the largest database that I’ve found, and there are some diamonds in the rough to be found in that database. Of course, you can create your own as well. If you’ve created or found other Powerpack workflows that you find particularly handy, let us know on Twitter. 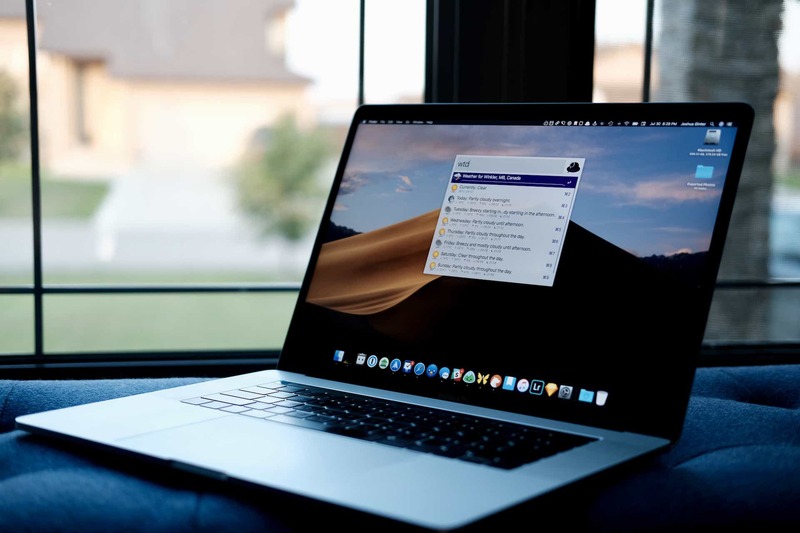 I’d love to build out Alfred and make as much of my macOS experience available directly from the keyboard rather than having to click around with the mouse.